Located south of Ashkelon in the Negev, Sderot is a development town which originated as an immigrant camp in the early 1950s. The city has a heterogeneous population of close to 22,000, which includes the second and third generations of the original families, as well as immigrants from the former Soviet Union and Ethiopia who arrived during the 1990s. Bimkom was initially approached by a group of local residents who wished to play a more active role in civic affairs, in general, and in the local planning process, in particular. 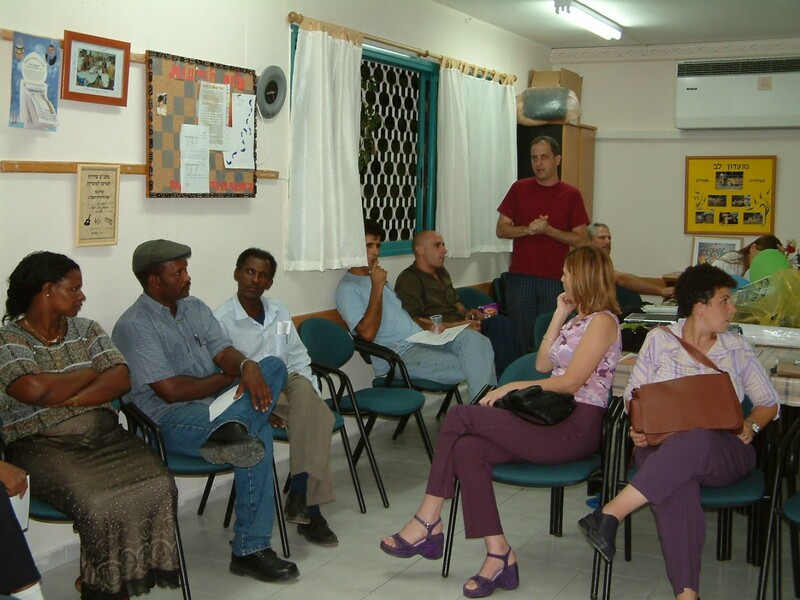 The Sderot Planning Rights Workshop was designed to provide members of the community with the tools, skills and knowledge they required to participate in the planning process in their city. Participants in the workshops included a broad cross-section of the city’s population, including new immigrants and people with disabilities. Eleven workshop sessions took place, covering a wide range of themes, including an introduction to the planning system in Israel, and the gathering and analysis of concrete data relating to the planning situation in Sderot. This has helped the group develop coherent options and expectations regarding the city’s future development. One of the workshop highlights was a conference attended by some 150 local residents from a range of backgrounds, at which participants and local policy makers (the mayor, the municipal engineer, planners and others) discussed local planning issues. One of the outcomes of the workshop included the creation of a Residents’ Charter.